Most animals are safely re-united with their guardians within 72 hours of becoming lost. The majority have not ventured far ( especially cats ) and can be easily re-united with three family because they have I.D tags & microchips. Animals without I.D may present more of a challenge. 1. Check your local shelters and register your pet as lost. Check back every day. Usually animals without I.D are taken to shelters if they can be easily caught or are found near by. Sometimes well intentioned people take an animal into their home, then relinquish them to a shelter days or even weeks later. Sometimes animals are scared and hide, sometimes they run. give them a flyer / details of your lost pet. If you believe your animal could have run far, extend the search area. 4. Post flyers throughout the immediate area, especially on intersections and heavily trafficked locations. Post flyers at local pet stores, vet offices, dog parks and any business that will allow you to. 5. Send an e-mail alert with flyer attached, to everyone you know and ask them to please forward to any local contacts. 6. If you animal was adopted through a rescue organization, contact them right away, so they can assist and put their resources into action. 7. Place an ad in your local paper, local blog, Craigs List. Lost & found ads are usually free of charge. If you do not find your lost pet right away, do not give up ! Someone may have taken them in and not know what to do, or are thinking of keeping them. Someone may have given them to another person who lives miles away. With enough flyers around, chances are, the animal will still ultimately be returned, but it does not hurt to check ALL shelters, even the ones that are far from your home. If all efforts to locate a lost pet are to no avail, you may want to consider a more aggressive approach, such as hiring a Pet Detective, or enlisting the help of a speciality service such as the ones listed below. Methods used vary. ‘Pet Harbor’ will send postcards of your lost pet to area addresses. ‘Find Toto’, will deliver a recorded message to home phones within a 1 mile radius of where your Pet went missing, reaching hundreds of people within minutes. Dogs by nature are very resilient and can survive incredible situations. I have seen a Chihuahua survive three weeks in the snow and a Pomeranian fend off predators while injured. Pet owners should never give up on their missing pet because they believe the animal could not survive due to environmental odds. The one thing none of us ever know is… how our pet responds and behaves when we are not around. Most dogs will step up to a challenge and survive. I have known dogs to be returned after months, even years. A brother & sister who love each other and never fight ! Two is always better than one when it comes to kittens. Double the love and affection, on top of never ending entertainment watching them play. Besides………how could we possibly separate them ! The added bonus is that they are absolutely beautiful !! They both have ‘Leopard Tabby’ markings, the female is primarily white with circles of leopard tabby – very unusual ! 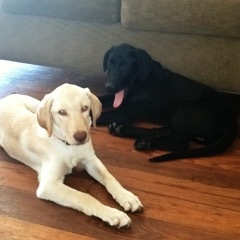 At 5mnths old they are a perfect age to easily adjust into a new home. Fully vetted and healthy. Please fill out an application or contact us if interested in meeting them at their foster home. Our main concern is finding them a forever home so the adoption donation will be minimal. Please contact us now if you are interested in adopting these kittens. If you love big dogs you will love this guy !! Django is an 85lb Mutt that we think is an Anatolian Shepherd x. Whatever the mix he is an amazing dog with a great disposition who gets along with other dogs and loves people. Django has been fully trained and is vetted and house broken. For more photos and video of this handsome 3-yr-old, or to arrange a meet & greet, please contact us at creaturekind@verizon.net. Django is currently in a foster home in Malibu, and has been around all kinds of animals since he was a puppy, including horses, pigs and chickens ! Please contact us now if you are interested in adopting JANGO. Bart is simply one of the best dogs we have ever met! He has a wonderful disposition and is fully trained. At 2 years old and weighing 42lbs, he is the perfect age & weight and with the loving nature he has, he is so ready to bond with someone as special as he is. If you are someone who enjoys running or hiking and have been looking for that perfect companion to take everywhere with you, or just hang out with, Bart is your man! He has never met a person or a dog he does not like. Playful and full of fun, this is a dog that will be a loyal and loving friend for life. Please contact us if you are interested in fostering or adopting Bart. Share these eight tips for enjoying the Fourth of July with your dog. Resist the urge to take your pet to fireworks displays.If possible, stay with the animal during the majority of the fireworks. They often react more intensely to loud sounds and flashes of lights when humans are not around. Keep your pet indoors! Never leave pets outside unattended, even in a fenced yard or on a chain. In their fear, pets who normally wouldn’t leave the yard may escape and become lost, or become entangled in their chain, risking injury or death. Always keep proper identification securely fastened to a dog’s collars in case it gets out. Consider talking to your veterinarian about implanting a universal microchip. Make sure your veterinary hospital and animal shelter have your correct contact information in their database. Keep them away from the front and back doors. They may be under significant stress, which could result in unnecessary injury to others or cause them to dart out the door and become lost. Create a special area or “den” in your home where dogs can feel safe. A properly introduced crate or kennel can be a calming refuge. Some dogs become destructive when frightened. If you don’t use a crate, be sure to remove items from the room that they could destroy or would hurt them if chewed. Keep windows and curtains closed to reduce noise and bright flashes. Turn on a TV or radio at normal volume to distract them from loud noises. Consider hiring a pet sitter to stay with the animal while you are away from home. Rocko & Shadow were the recent victims of a divorce and we are hoping to find them a home together as they have been together since they were puppies. They are everything you want a Labrador to be – sweet, friendly, goofy one year-old boys who grew up with young children and love other dogs. House & leash trained and looking for a former home. If interested please fill out an application.